Here is a list of the International Conducting Workshop and Festival 2019 Violin Faculty. John Holloway began violin studies at five years old, and gave his first public performances at the age of eight. From age nine to twentyone he studied with Yfrah Neaman in London, including four years at the Guildhall School of Music and Drama. For some two years he was a member of Yehudi Menuhin's chamber orchestra, thus financing his participation in a number of international competitions. In the 1970s he was concertmaster of Kent Opera - described by one critic as "the best opera orchestra in Europe" - at the same time developing his growing interest in historically informed performance. 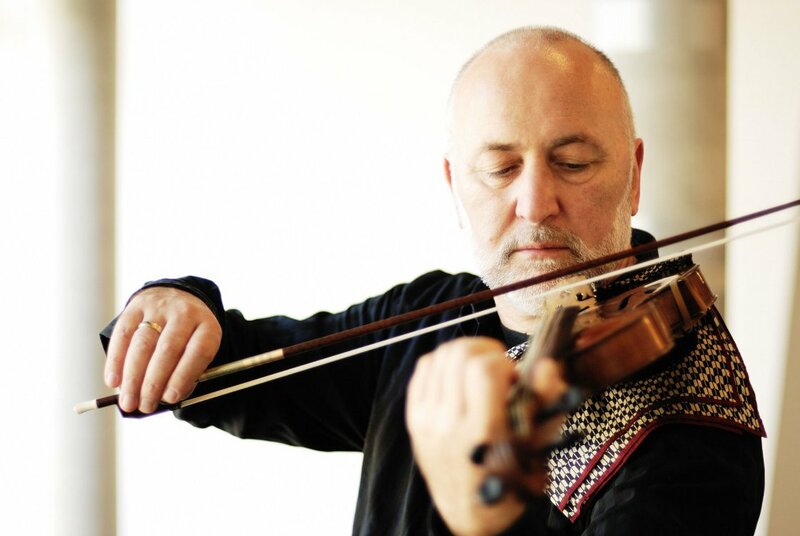 From 1977 to 1991 he was concertmaster of Andrew Parrott's Taverner Players, from 1978 to 1992 of Roger Norrington's London Classical Players - thus playing a leading role in groundbreaking performances of repertoire from Monteverdi to Brahms. "This is playing that fizzes with intelligence, combining intensity, percipience and drama in equal measure. Everyone will have his own gold standard in this repertoire - Grumiaux's elemental reading from the early 1960s; the peerless tone and studied elegance of Milstein; the technical perfection achieved by Perlman; or perhaps the richly sonorous account by ECM stablemate Gidon Kremer. The overarching, panoramic vision offered by Holloway should now take its place on this exalted list". John Holloway has been Professor of Baroque Violin at the Guildhall School of Music, Guest Professor at the Schola Cantorum, Basel, and at the Early Music Institute at IU Bloominton, USA. In 2004 he was Regents' Lecturer at UC Berkeley, USA, and from 1999 to 2015 Professor of (modern) Violin and Chamber Music at the University of Music in Dresden. In 2016 he retired from public performance and recording, 60 years after his first public concerts. He continues to teach and conduct, lectures on a wide range of musical topics, and is working on a digital publishing project around Bach's works for solo violin. Violinist Solomiya Ivakhiv has quickly earned a reputation for performing with “distinctive charm and subtle profundity” (Daily Freeman, New York) and a “crystal clear and noble sound” (Culture and Life, Ukraine). Known for her work as a soloist and chamber musician, Solomiya Ivakhiv has performed at Carnegie Hall, Merkin Concert Hall, CBC Glenn Gould Studio, Curtis Institute Field Concert Hall, Italian Academy in New York City, Pickman Hall in Cambridge, MA, San Jose Chamber Music Society, Old First Concerts in San Francisco, Astoria Music Festival (Portland), Tchaikovsky Hall in Kyiv, and at UConn’s Jorgensen Center for the Performing Arts. She has made solo appearances with the Istanbul State Symphony, Charleston Symphony, National Symphony Orchestra of Ukraine, Lviv Philharmonic Orchestra, the Hunan Symphony Orchestra in China, the AACC, and the Bach Festival Orchestra. Featured appearances at prestigious national and international chamber music festivals include Tanglewood, The Embassy Series in Washington, Emerson Quartet Festival, Newport Music Festival, Nevada Chamber Music Festival, Bach Festival of Philadelphia, The Banff Centre and Ottawa Chamberfest (Canada), Musique de Chambre à Giverny (France), Prussia Cove (England), Verbier Festival and Kammermusik Bodensee (Switzerland), AlpenKammerMusik (Austria), Modern Music “Contrasts” and KyivFest (Ukraine). A dedicated champion of new music, Solomiya Ivakhiv has been privileged to premiere numerous new works for violin by composers Eli Marshall, David Ludwig, John B. Hedges, Bohdan Kryvopust, Yevhen Stankovych, Bruce Adolphe, and Oleksandr Shchetynsky. A dedicated educator, Solomiya Ivakhiv has conducted master classes and chamber music coachings at Yale, Columbia, Penn State, University of Hartford Hartt School of Music, Boston Conservatory, Curtis SummerFest, University of Maryland, Bard College Prep, SUNY – Fredonia Universities, Guangzhou and Hunan Conservatories in China, and regularly collaborates with high schools in outreach programs throughout the United States. Ms. Ivakhiv is a member of the American String Teachers Association-Connecticut Chapter. Highly sought after as a chamber musician, she frequently collaborates with such renowned artists as Roberto Diaz, Steven Isserlis, Philip Setzer, Gilbert Kalish, Colin Carr, Marcy Rosen and Eugene Drucker, as well as with numerous composers. Ms.Ivakhiv has also been Artistic Director of Music at the Institute (MATI) Concert Series in New York City since 2010, where she is a frequent performer. Her performances are often broadcast on National Public Radio, Voice of America Radio, WRTI, KUNR, Ukrainian National Radio and Television, and Chinese Hunan Television. Ms. Ivakhiv is the recipient of several international honors, including the Sergei Prokofiev and Yaroslav Kocian International Competitions, the Fritz Kreisler and Charles Miller Award from the Curtis Institute of Music, Award from the President of the Ukraine and 2016 New Scholar Award from the University of Connecticut School of Fine Arts. 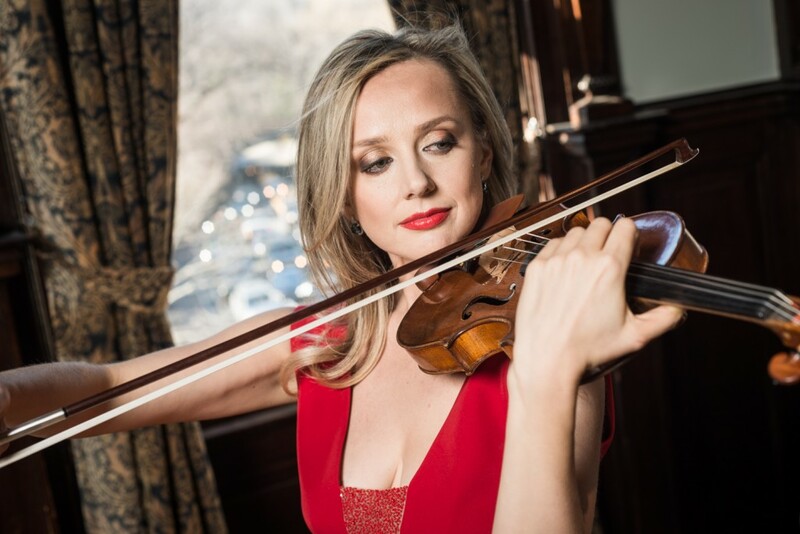 Ms. Ivakhiv is Assistant Professor of Violin and Viola and Head of Strings at the University of Connecticut and Professor of Violin at Longy School of Music of Bard College. She graduated with honors from Curtis Institute of Music, where she was concertmaster of both the Curtis Symphony Orchestra and Tanglewood Music Center Orchestra, and studied with Joseph Silverstein, Pamela Frank and the late Rafael Druian. She received her Master of Music degree from M. Lysenko Music Academy in Lviv, Ukraine, studying with Oresta Kohut, and holds a Doctor of Musical Arts degree from Stony Brook University, where she studied with Pamela Frank and Philip Setzer. Dylana Jenson has performed with major orchestras in the United States and traveled to Europe, Australia, Japan and Latin America for concerts, recitals and recordings. After her triumphant success at the Tchaikovsky Competition, where she became the youngest at age 17 and the first American woman to win the Silver Medal, she made her Carnegie Hall debut playing the Sibelius Concerto with Eugene Ormandy and the Philadelphia Orchestra. Ms. Jenson was made an Honorary Citizen of Costa Rica for her artistic contribution to her mother’s homeland. Dylana Jenson comes from a family with a strong tradition in the arts. Her sister, Vicky Jenson , directed the films ‘Shrek’ and ‘Shark Tale’. Her husband, David Lockington, is Music Director of the Pasadena and Modesto Symphonies, and Conductor Laureate of the Grand Rapids Symphony. 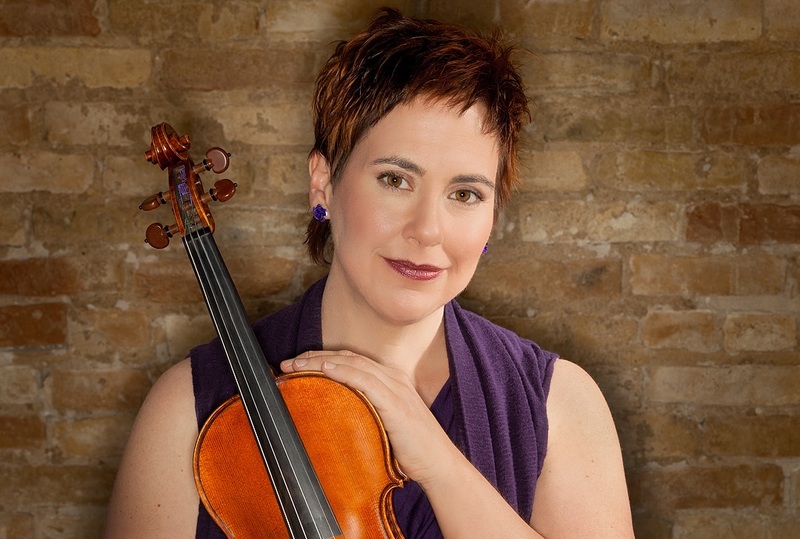 In tandem with her solo career Jenson has been busy giving Master Classes and teaching at summer music festivals including the Interlochen Arts Camp and the Heifetz International Institute. In her teaching she uses the Russian technique taught by Leopold Auer and by great artists such as Nathan Milstein. This method develops a natural physical relationship to the instrument. Hailed by Strad Magazine for his “effortless, envy-provoking technique… sweet tone, brilliant expression, and grand style”, Michael Ludwig enjoys a multi-faceted career as a soloist, recording artist, and chamber musician. 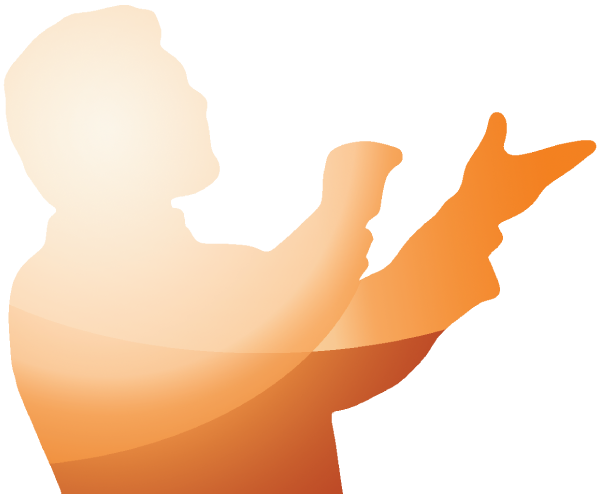 A highly sought-after soloist, he has performed on four continents, including appearances with the Chicago Symphony Orchestra, Philadelphia Orchestra, Boston Pops, KBS Symphony in Seoul, Korea, Beijing Symphony, and the Shanghai Philharmonic Orchestra, collaborating with such conductors as JoAnn Falletta, Sir Georg Solti, and John Williams among others. He has recorded with the London Symphony Orchestra, Royal Scottish National Orchestra, Lithuanian National Symphony, Buffalo Philharmonic, and Virginia Symphony. Ludwig serves as Artist-in-Residence Professor of Violin at Montclair State University's John J. Cali School of Music and is the Music Director of the Roxborough Orchestra in Philadelphia. Most recently, he served as a jury member for the 2017 HKIVS Shlomo Mintz International Violin Competition and gave master classes at the Central Conservatory of Music in Beijing, China. Ludwig’s discography includes recordings of the Beethoven Violin Concerto, Bruch Scottish Fantasy, and Dvorak Romance with the Virginia Symphony, as well as the Wieniawski Concerto No. 2, Corigliano Red Violin Concerto, and Suk Fantasy with the Buffalo Philharmonic. Ludwig's recording of the Corigliano Red Violin Concerto with JoAnn Falletta and the Buffalo Philharmonic is "hot, sharp, and close to the edge" writes critic Norman Lebrecht. His recording of the rarely performed Dohnanyi Violin Concertos with the Royal Scottish National Orchestra has received extraordinary reviews worldwide, and has revived interest in these neglected romantic works. Ludwig's discography has drawn critical acclaim from both sides of the Atlantic. Fanfare magazine writes: "His phrasing is so sensitive--it could serve as an object lesson to every budding violinist." And BBC Music Magazine praises his "persuasive playing, silky tone, sensitivity to colour and flair for golden-age' style." Ludwig’s new recordings released in 2014 include the works of Joseph Achron for violin and piano, as well as the Bartok Portrait No. 1 with the Buffalo Philharmonic, both for the NAXOS label. As a chamber musician, Michael has shared the stage with numerous acclaimed artists, such as Christoph Eschenbach, Wolfgang Sawallisch, Yefim Bronfman, Sarah Chang, and Jean-Yves Thibaudet. His recording of the world premiere of Marcel Tyberg's Piano Trio in F Major was released by NAXOS in August 2010. His chamber music performances include appearances at the Prague Spring Music Festival, New Hampshire Music Festival, and a benefit appearance for the Terezin Music Foundation at Symphony Hall in Boston. Michael Ludwig has been featured numerous times on Performance Today, a program that reaches approximately 1.2 million listeners on 230 radio stations nationwide. Ludwig’s media credits include live broadcasts at WRTI (Philadelphia) and WAMC (Albany, NY), as well as an appearance on the program “From the Top.” He has been featured on Bulgarian National Radio, Balkan Bulgarian Television, and the Korean Broadcasting System. Michael studied violin with his father, Irving Ludwig, who was a violinist in the Philadelphia Orchestra and Music Director of the Lansdowne Symphony Orchestra. Zhi-Jong Wang made her solo debut at the age of 14 with Orchestre national de Lille under Sir Yehudi Menuhin in France, since then she has appeared as a soloist with various orchestras, including Orchestre National de Radio France, St. PetersburgPhilharmonic Orchestra, Helsinki Philharmonic Orchestra, Turku Symphony Orchestra, Konzerthausorcheser Berlin, Warsaw Philharmonic Orchestra amongst others. Shecollaborates with musicians such as Yuri Temirkanov, Gidon Kremer, Lynn Harrel, Matthias Bamert, Okko Kamu, John Storgårds, Lior Shambadal, Christian Arming, Muhai Tang, Jia Lü, Guoyang Zhang, Yang Yang,etc. Zhi-Jong’s recent accomplishments include her debut recital at the Lucerne Festival, highly acclaimed performances with the Osaka Century Orchestra and with the NHK Symphony Orchestra under Tadaaki Otaka, and her debut at the Philharmonie Berlin. As well as performing the standard violin repertoire, Zhi-Jong is a passionate exponent of contemporary music, performing works by Gubaidulina, Lutoslawski, Schnittke, Ligeti, etc. In the recent seasons, she premiered Ana Sokolovic’s Commedia dell'arte III and Nikolai Badinski’s Violin ConcertoNo.2. Following her first concert leading the orchestra from the violin with Ensemble Orchestral de Paris performing Mozart’s Violin Concerto no. 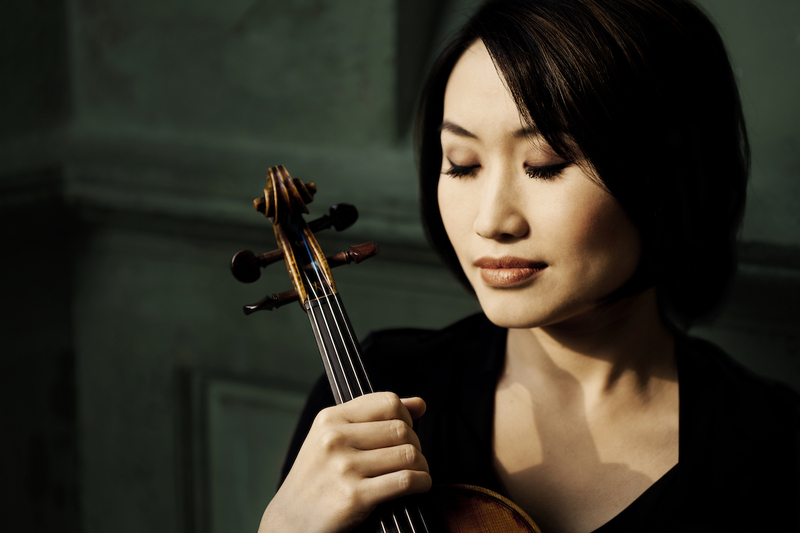 5 at the Cité de la Musique in Paris, ‘play-conducting’ has attracted Zhi-Jong’s interest and in recent seasons she has played/conducted Vivaldi/Piazzolla’s Four Seasons and several of the Mozart concerti. Zhi-Jong is the laureate of many important competitions beginning with First Prize in the 1998 Yehudi Menuhin International Competition. In the same year, she also won the First Prize of the China National Violin Competition, where she was the youngest first prize winner ever. In the following years Zhi-Jong Wang has distinguished herself receiving prizes in the Sibelius Violin Competition, Lipizer Violin Competition, Tchaikovsky Competition, etc. Her CD is released by Accentus Music. Her recent release includes Sibelius and Stravinsky violin concertos with the Philharmonia Orchestra and conductorThomas Sanderling. Zhi-Jong is currently Professor and Deputy Director of the Orchestra Department at Shanghai Conservatory of Music. She plays on a 1716 Stradivarius kindly on loan from China Foundation. 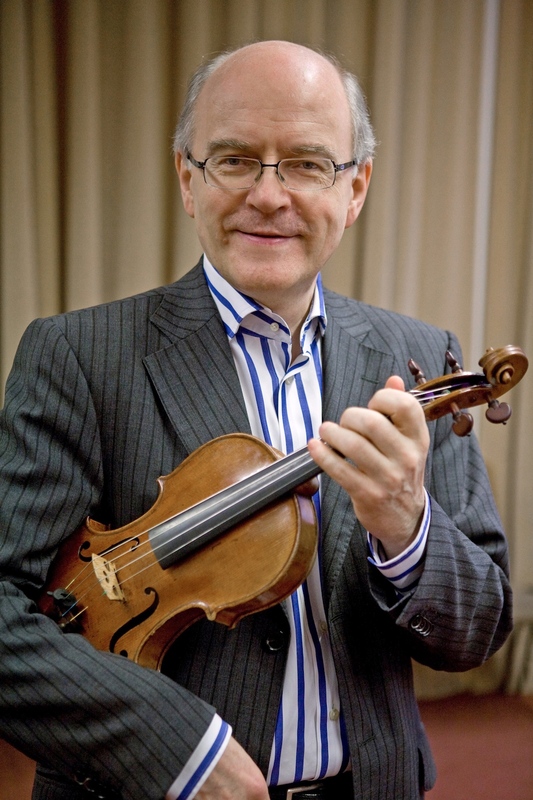 Krzysztof Wegrzyn, the Founder and Artistic Director of the Joseph Joachim International Violin Competition Hannover was born in Gdansk, Poland. He studied in Warsaw, Freiburg and London. His musical personality has been strongly influenced by Wolfgang Marschner, Yfrah Neaman and Dorothy DeLay. He was the winner of the Karol Szymanowski- and Rodolfo Lipizer Competitions and was a laureate at another renowned international competitions (Spohr, Montreal). His concert activities have taken him around the world and he has made numerous recordings for radio, television and CD. His broad repertoire also features works by Lutoslawski, Ligeti, Nono, Schnittke, Pärt and Penderecki. Krzysztof Wegrzyn served as concertmaster of the Hanover State Opera and Philharmonic Orchestra for many years and since 1993 has been a professor of violin at the University of Music, Drama and Media Hanover and since 2012 its Vice President. Many of his students have won top prizes in major international competitions and have become members of leading European orchestras. Krzysztof Wegrzyn regularly holds master classes worldwide including at the Holland Music Sessions and the Conservatories in Geneva, Lausanne, Madrid, Florenz, New York, Beijing, Auckland, Seoul, Shanghai and Tokyo. He has served on the juries of numerous international competitions (e. g. the Tchaikovski, Kreisler, Paganini, ARD, Qingdao, Seoul, Singapore and Sendai). Furthermore, he has also been greatly involved in chamber music and has founded the Ensemble ‘il gioco col suono’. In 2004 he was awarded the State Music Prize and in 2018 the State Cross of Merit. He plays a Venezian violin of Domenico Montagnana.